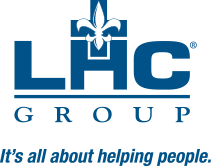 Nicholas Gachassin joined LHC Group in early 2019 as general counsel. Prior to joining the company, Mr. Gachassin served as the managing partner of Gachassin Law Firm, an established Louisiana firm dedicated to representing healthcare providers and healthcare businesses. As general counsel, he is responsible for managing the company’s in-house legal department, overseeing the work of outside counsel, and providing timely and effective legal advice on day-to-day operations, company strategy, and corporate development. Mr. Gachassin is licensed to practice in Louisiana and Mississippi and is a member of several healthcare organizations, including the American Health Lawyers Association, the American College of Healthcare Executives, and the Louisiana Association of Hospital Attorneys. Mr. Gachassin is a graduate of St. Stanislaus College, Tulane University, Loyola University New Orleans College of Law (JD, with Honors), and Loyola University Chicago School of Law (LL.M – Health Care).